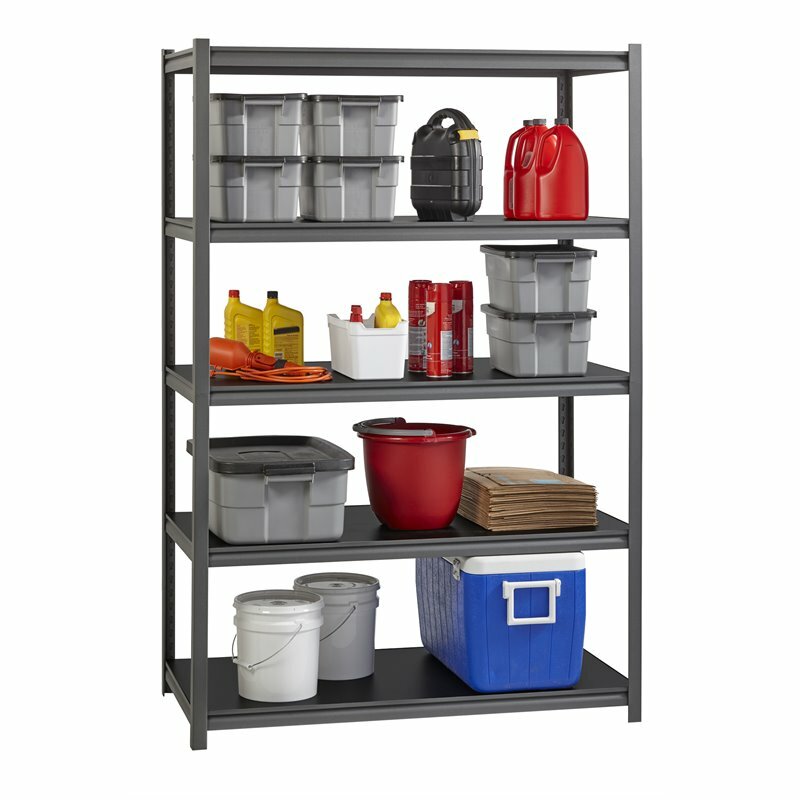 Heavy duty steel riveted shelving unit with a total capacity of 3200 pounds of evenly distributed weight. Assembles vertically or horizontally with a rubber mallet. 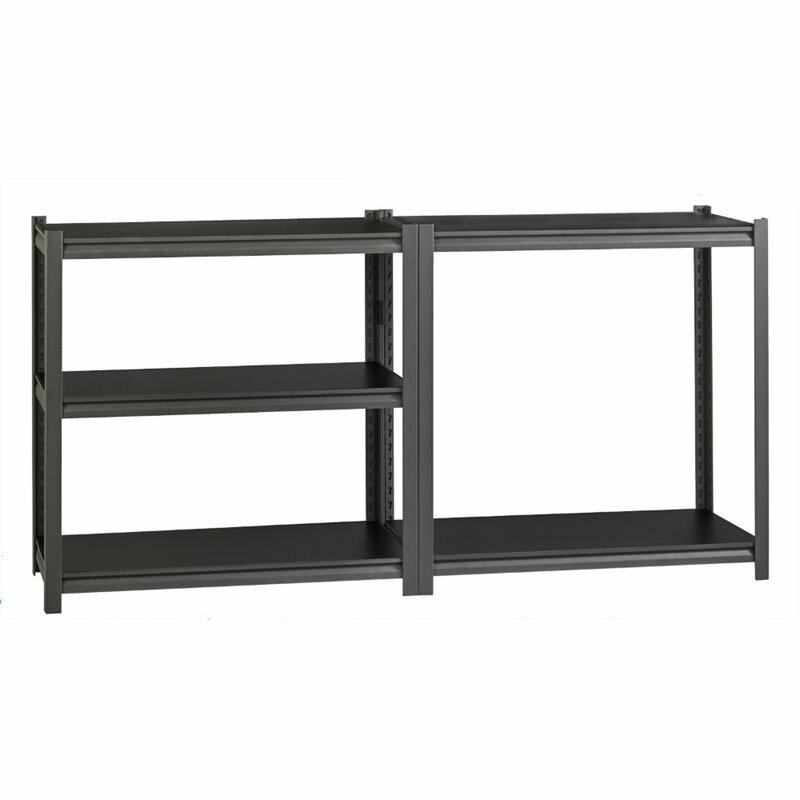 Gunmetal gray powder coat finish. Concealed posts for a clean look. 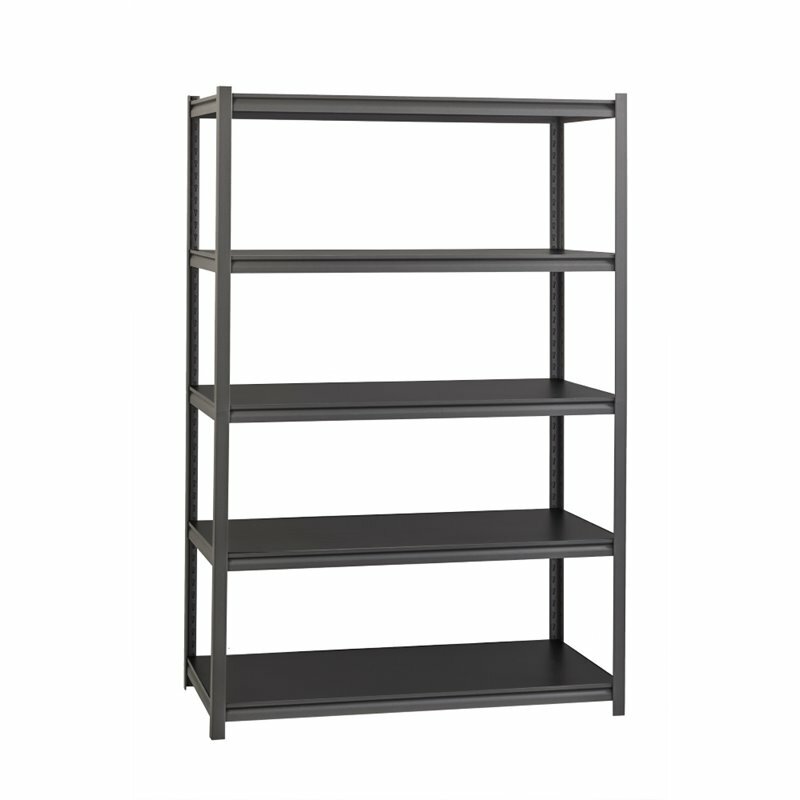 Black laminate shelves. 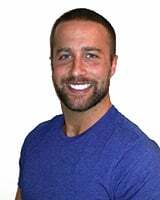 Backed by the manufactures limited lifetime warranty. Concealed posts & riveted shelf attachments. This consumer rating is based on 2 reviews of all Scranton & Co products. 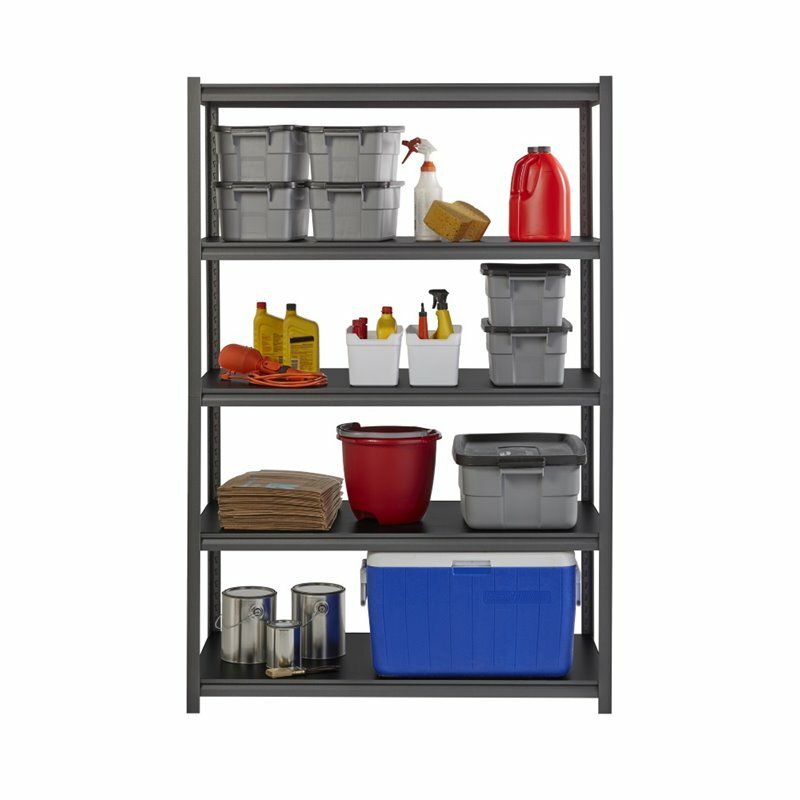 The Scranton & Co 18" x 48" x 72" 5 Shelf Storage Unit in Gray has not yet been reviewed, be the first!